Bloom Association » Intermarché group announces phasing out all deep-sea bottom trawling and sales of deep-sea fish by 2025. The giant retail group “Les Mousquetaires” (owner of Intermarché, Netto, Bricomarché brands etc.) announced earlier today that its fishing fleet, “Scapêche”, an important player in deep-sea fishing in Europe, will progressively phase out fishing for deep-sea species, as well as the sale of deep-sea fish in its supermarkets by 2025. The group also announced stopping the MSC ecolabeling certifying scheme that the Intermarché fleet had started for its deep-sea fisheries and that BLOOM had harshly denounced in 2015. 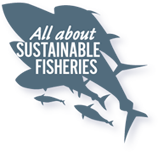 This shift from deep-sea bottom trawling towards sustainable fishing practices is referred to as the “Sustainable Fishing 2025” objective and was developed in cooperation with BLOOM via the consulting firm “Deloitte Sustainable Development”. It will require a 50 million euro investment to implement. The 180-degree overhaul of the group’s fishing strategy follows the arrival of a new management team within “Les Mousquetaires” who are willing to tackle major environmental issues. The spectacular turnaround of the Intermarché fleet is also the direct result of a massive citizen mobilization in 2013 and 2014 against deep-sea bottom trawling: close to 900,000 citizens then signed BLOOM’s petition against this destructive fishing method, a record in the history of environmental mobilizations in France. This clear expression of the rejection of deep-sea fishing by French people motivated Intermarché to negotiate with BLOOM and to stop bottom trawling beyond a depth of 800 meters from January 2015. The decision by Intermarché preceded any form of regulatory constraint, be it national or European, but it did influence the ongoing European legislative process seeking to reform the deep-sea fishing regulation to a 800 meter depth. “Phasing out deep-sea fishing activities is a major decision for Intermarché” commented Claire Nouvian, founder of BLOOM. “The fact that an industrial company has the will to make such a profound and difficult move is an extremely positive sign for the fishing sector in general and for other food production sectors as well. It shows that with vision and courage, nothing is in the realm of the impossible! What matters is to be determined, to engage in the right direction, to listen to citizens, to take one’s social and environmental responsibility seriously and to provide the financial and human means to pave the way to success. But then again, we are aware that this is easier said than done with such large industrial groups and that these important changes are not made overnight. So hats off to Intermarché on making the right decision!” congratulates Claire Nouvian on behalf of the BLOOM team. The Intermarché announcement can instil the ambition that is currently lacking from final Trilogue negotiations on the scope of the EU’s deep-sea fishing regulation. International waters of the Northeast Atlantic were withdrawn from the regulation by the Council, which adopted a position limiting the scope of ​​application to European waters only (within the limit of 200 nautical miles) in November 2015. On the other hand, the positions of the Parliament and the European Commission originally incorporated all international waters of the Northeast Atlantic in addition to European waters. However, Spanish fleets mainly fish for deep-sea species in international waters so if negotiators agree to limit the scope of the regulation to EU waters only, this would mean nothing less than to exempt Spain from any regulatory constraint. “It would be absurd that the French, thanks to the impulse given by Intermarché, show the way forward and strive to spare the UK’s deep seabed where most deep-sea fishing is done inside the EU waters, while the Spanish fishing fleet is let off the hook to destroy the seabed just across the UK marine border! Fish do not know such borders and the damage done to marine habitats and species in adjacent waters would naturally impact the health of the UK and EU marine heritage. We count on France and the UK to ensure the halt of the ongoing destruction and to prevent giving Spain such a competitive advantage over other EU fleets” concludes Claire Nouvian. The next Trilogue between the Council, Commission and Parliament shall be held in Brussels on 25 April 2016. Council adopted its position on November 6th 2015.